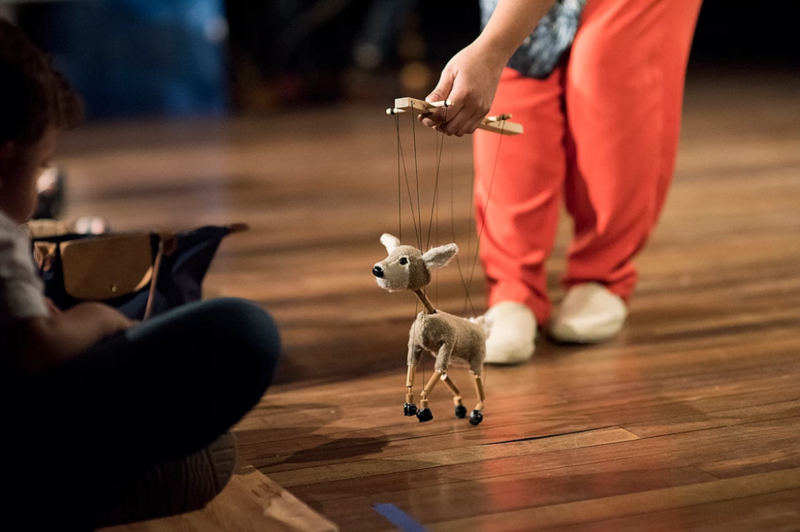 Sunday, May 5, 2019 11 a.m.
Monday, May 6, 2019 10 a.m.
Daycare groups on May 6, 2019: Please call the Maison internationale des arts de la marionnette (MIAM @ 514 270-2717) to confirm the availability of tickets. Baby wakes up at midnight and Mommy is doing her very best to find a way to put him back to sleep. Should she nurse? Change his diaper? Try to relieve his painful colic? What could be causing him pain? Or maybe he’s cold? What’s going on? Mommy tries everything she can to put Baby back to sleep. 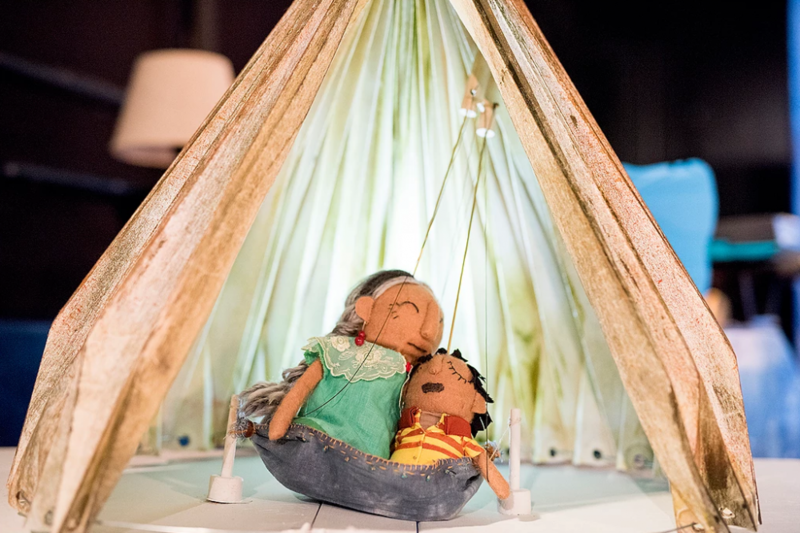 That’s when a dreamlike world of jungles, beaches, hammocks and animals emerges from the cradle drawers. Soothing lullabies, a comforting embrace, parental protection and affection compose the innate language of humanity, where our deepest and purest instinct manifests itself. 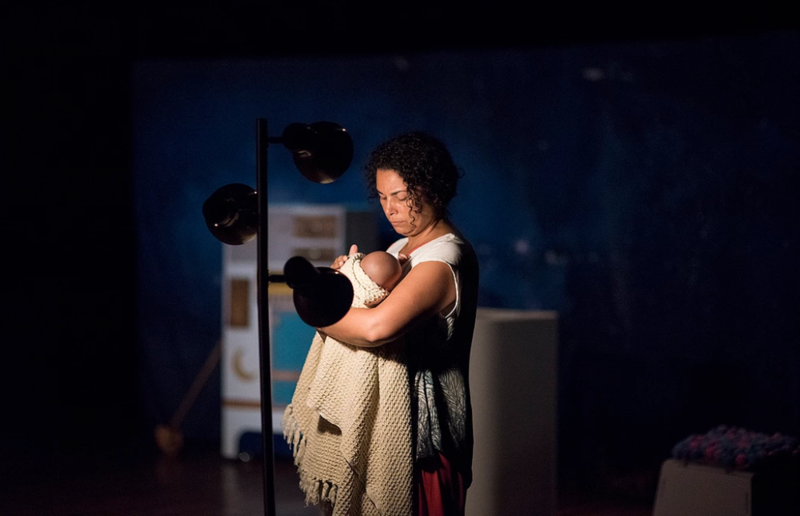 Established in 2002, La Bicicleta theatre company specializes in family-friendly theatre. 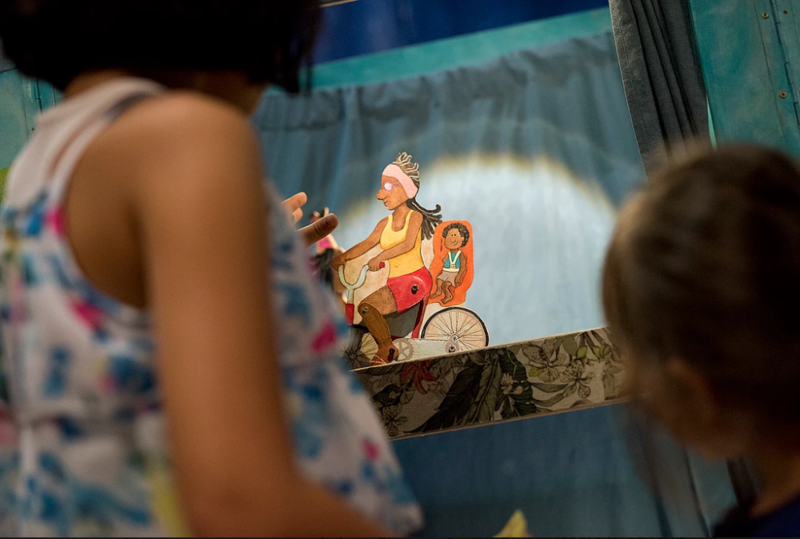 Their shows combine actors and puppets, and their use of the bicycle allows them to perform in unconventional places. 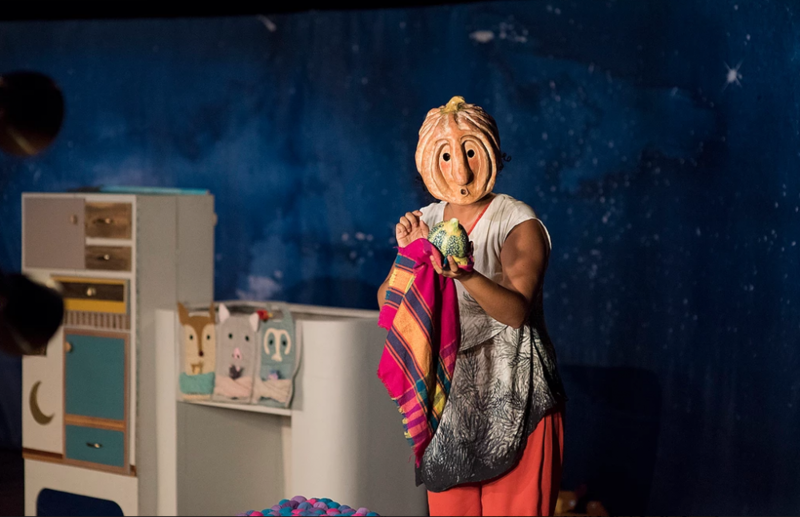 Nana Raíz (“root lullaby”) was presented at the International Puppet Fringe Festival in New York in 2018.